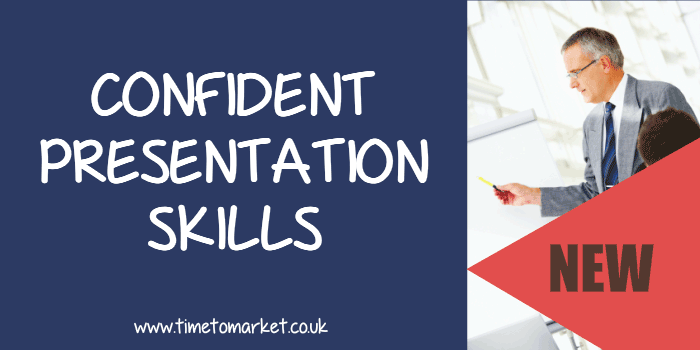 Confident presentation skills are the prerequisite currency of the successful presenter. Because with confidence you earn the attention and respect of your audience. But for many presenters their confidence disappears with the words PowerPoint or presentation. Why is that? It’s a dilemma. Not least because these same people are the most confident in other spheres. They are confident drivers. Confident at sports. Or, of course, confident at work. Niggling self doubt and introspection too often leads to a lack of confidence. Because when you dwell on yourself and not your audience, you don’t package a confident message to others. Sports players suffer from it. So, when they imagine that they can’t do it; that somehow fulfils their own prophecy. And when their mask of capability signals purpose and a can-do attitude, then miraculously things happen. Just think of a golfer’s short play or a batsman’s technique. Or, the goalkeeper Robert Green. Because confidence is everything. And so is presentation confidence. So, the trick is to adopt a presenter’s mask of capability. A mask that projects enthusiasm, vibrancy and an interest in others and external things. Therefore, aim to package a confident message that helps you to build your audience focus. Stand tall. Because when you stand tall, then it equates to self-confidence and pride in your work. And the opposite? Well, head down, looking at the floor suggests despondence and despair. That’s the hunched and saddened individual. Of course, that’s not an image that you want to present. Therefore, aim to adopt a standing tall, mask of capability when you present. Use gestures. Aim to keep your hand and arm gestures symmetrical if possible. That’s because your audience prefers symmetry. Use animation to signal your confidence. This Nicolas Sarkozy speech gives a fine example of an animated speaker/ presenter. Pace. Aim to keep it slow. Give yourself more time to think. More time to link your ideas. And, more time to provide the right words. A careful and measured mask of capability. That’s not slow and hesitant. And it’s not rapid and breathless. Just take a look at this Alan Mulally presentation as an example. Dress. You should feel good about your dress. So, dress for power and prestige. Dress to impress. Your external mask of capability is more than just the clothes you choose to wear. It’s key that you dress for power and confidence when you give your presentation. Confident presenters use a mask of capability, so they take control of themselves, their situation and, importantly, their audience. For more confident presentation skills tips, you can always attend a public presentation training course. We host scheduled courses at more than 40 presentation training centres, so you are never that far from your nearest course. Plus, we also offer a corporate training package where we train your team on your premises. It’s easy to arrange and it makes your training budget go further.